A wrist injury can be very painful. A wrist tendon injury can have long-term consequences, too. Playing certain sports can contribute toward needing such remedies as boxing wrist injury treatment and golf wrist injury treatment at your New York City doctor’s office. Get effective wrist injury treatment for a scaphoid sprain and other painful wrist conditions before they lead to further complications. Come to our NYC sports injury clinic and make your appointment today to get your pain evaluation and treatment. Eight small bones known as carpals make up your wrists. These small bones support and protect a tube in your wrist that encases tendons and nerves. Because of the delicacy and intricacy of these bones and tubes, wrist injury is very common, usually from repetitive motions or injuries from falls. 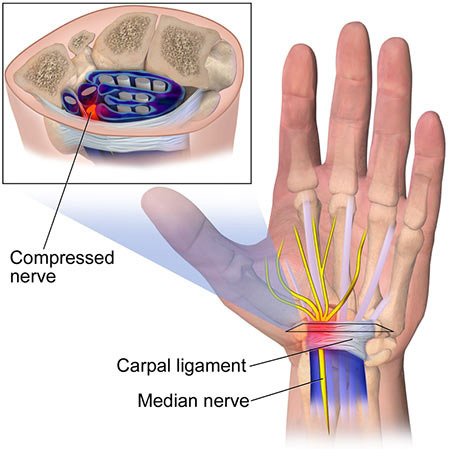 The scaphoid bone is one of the most tender bones and a leading cause of scaphoid sprains. Depending on the type of injury, your wrist pain can vary greatly. Your pain might be dull and throbbing, sharp and intense, presenting gradually and worsening over time, or appearing suddenly. Careful communication with your Midtown Manhattan sports medicine and pain specialist makes for the most effective wrist injury treatment plan. Symptoms of a wrist tendon injury include pain, numbness, tingling, bruising and swelling. Gentle support and early treatment keep most injuries from leading to chronic conditions. While anyone can develop wrist issues, you may be at a higher risk if you participate in sports or other athletic pursuits or have repetitive motions in their jobs. Professional or regular golfing can lead to the need for golf wrist injury treatment, something your NYC doctor performs often. Boxing wrist injury treatment is another common service your sports medicine physician provides. Elderly individuals or those with an unsteady gait can fall more frequently, putting wrists at risk. Pregnancy, obesity, diabetes, gout and rheumatoid arthritis cause swelling and pressure on the carpal bones and the enclosed tubing, weakening it and making it more susceptible to injury. Sharp pain with accompanying bruising and swelling may indicate a fracture. Infection causes your wrist area to be red, swollen and warm. You may also run a fever. Pain continuing after two weeks of home remedies often points to a more serious injury. Any open wound should be immediately checked. If your skin is cold and turns blue or white, seek consultation. A firm lump or swelling near your joint could indicate a ganglion cyst. Any swelling of your joints in your hands should be examined. Whether you’re looking for golf wrist injury treatment, boxing wrist injury treatment, or relief from any other wrist pain, diagnosis starts the same way. Your NYC doctor begins with a physical exam to check for swelling, nerve sensation and pain levels. He checks for bruising and determines your range of motion. While taking a medical history, he also tests your grip and forearm strength. Imaging tests can help your physician diagnose a tiny scaphoid sprain and hairline fractures. Direct arthrography evaluates joint conditions by injecting contrast material in either your bloodstream or into the affected joint. Nerve tests such as electromyogram may also be helpful. Whether you have scaphoid sprains, tendonitis from golfing or a broken wrist bone from boxing, wrist injury treatment recovery time can range from a few weeks to a few months, especially for athletes. If you require surgery, some physical therapy will be included in your recovery as well. Do you have any questions about the wrist injuries treatment we offer in NYC? 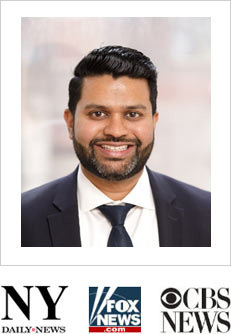 Would you like to schedule an appointment with the best rated wrist pain management doctor Febin Melepura MD of sports injury clinic NYC? Please contact our office for consultation with the pain relief specialist in Midtown Manhattan.